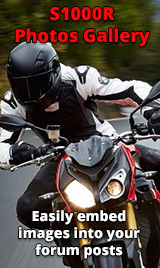 Thanks Amp, really appreciate that bit of info, I think with a carbon slip on this should give me just what I'm looking for. I'll probably try to polish the lower section of the new pipes before fitting to improve the look some more. Looking closely at the photo you posted originally I think I can see the pipe bracket is not quite in the same position as it would be on a the rr, but no matter. It'll be a while before I get this done, but I'll post photos when fitted. 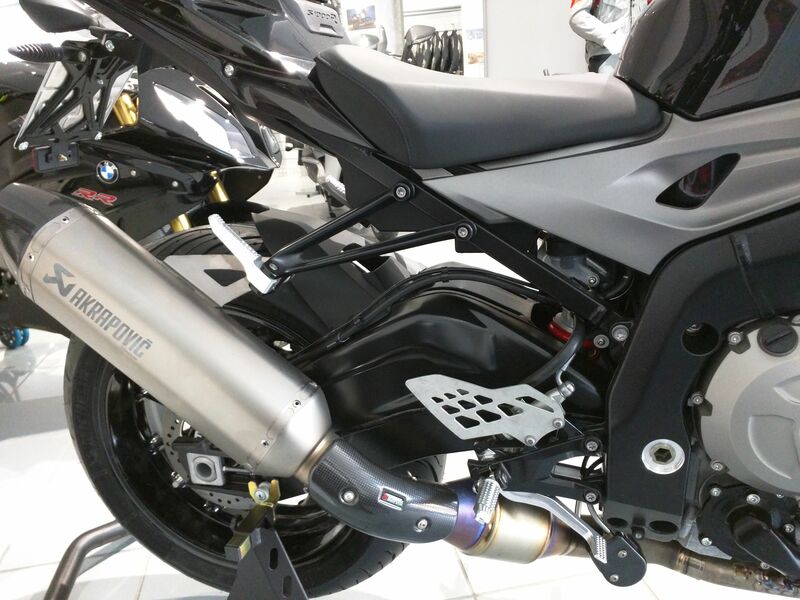 Hello, I confirm, I mounted the Akrapovic Full Titanium of S1000RR 2015, catalysed version. No modification are needed but keep in mind you have to use rear foot rest of "RR" because the muffler of "RR" has the attack in a higher position. You have to buy also the bowden cables of the exhaust flap, in a different position compared to "R", at least for the Akrapovic, perhaps the same for standard exhaust, see your picture. No ECU modification until now. My first ride tomorrow after 6 (six) months !!! Thanks for all that guys, as I said it'll be a while before it's all fitted. Photos of 2015 RR exhaust system, waiting for carbon can to complete the job. did you hook up the exhaust cables? Just you I think. They're certainly a damn sight better than the stock S1000R catheter bag.